Technology has changed the way humans interact with machines and even how machines interact with other machines. After the shift from desktop websites to mobile apps, now comes a time when mobile apps are also undergoing a transformation. IoT and Bots are instrumental in bringing about this paradigm shift. IoT is a network of internet-enabled devices all having an IP address and communicating with each other through a mobile app on a Smartphone interface. 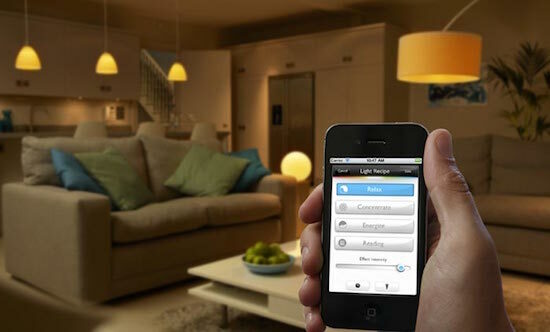 The best example of integration of mobile apps with IoT is in home automation systems in what we call “Smart Homes”. 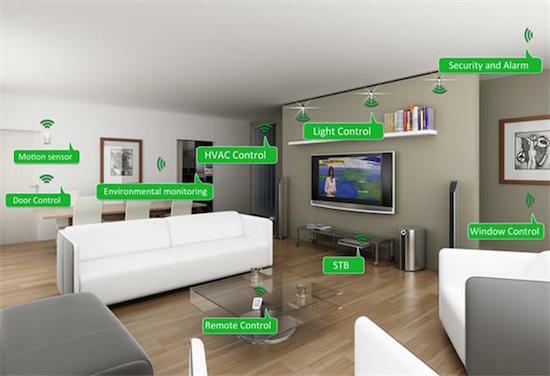 Here all major systems in a house like security, lighting, heating, air conditioning and even cooking devices are intelligent which means, they are programmed to receive instructions from the users in the house and behave accordingly. How does all this happen? Actually all appliances involved in these systems are interconnected through cloud-based technology to a main hub which can be controlled through an app on the users’ Smartphones, tablets or wearable like Smartwatches. Mobile connectivity and in-built sensors in devices strengthen the IoT ecosystem creating a new world of opportunities. In an IoT-enabled environment, our mobile devices will act as the main interface through which we can interact with our IoT-enabled devices. One of the reasons why IoT is fast becoming a mainstream technology is that our mobile devices come fully-loaded with features like geo-location based technology and multiple connectivity options like WiFi, Bluetooth and NFC. These qualities in our mobile devices qualify them to be at the core of the IoT ecosystem. Let us see one more example of the awesomeness of IoT-enabled mobile apps. Earlier when a guest wanted to enter a hotel room, he needed a key or an access card. With IoT-enabled Smartphones, a guest can just open the hotel’s app on his Smartphone, select the relevant options and proceed into the room as if he owns it. Amazing isn’t it? 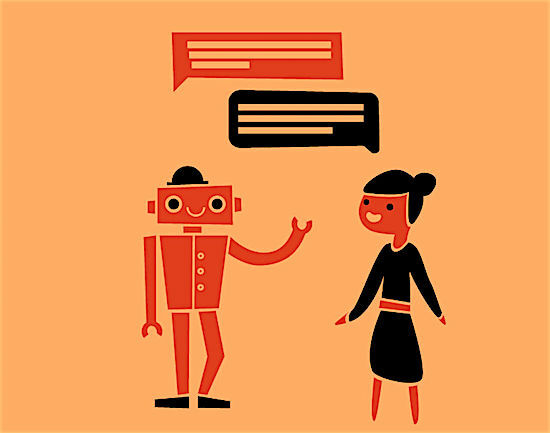 How Bots Are the Future of Mobile Apps? • Bots are very easy to install. For installing a Bot, simply search for it from within your favorite messaging app and click on it to start chatting. No need to download or install the app from a play store. • Bots are easy to distribute. Just like you can install a bot from messaging apps, you can even share your favorite bot from messaging app itself. Bots can even be linked to your social media account. A great example is Slack, a bot which when installed by one team member, gets automatically added to other members so that all can use it. • Bots are cheaper than mobile apps. High-quality mobile apps are costly to develop, maintain and deploy. As bots are deployed on a messaging app, you can leverage the fact that the messaging app was developed by someone else who bore its cost. New feature are deployed with continuous integration to the backend alone. • Messaging apps are already ubiquitous. They have penetrated the market at all levels. Almost everyone uses 1 or more messaging app on a regular basis. Since this is the base of Bots deployment, you can be sure that they will also infiltrate the market in similar fashion. • Bots are portable, convenient and extremely user-friendly. Besides messaging apps, bots can be installed as a live chat, personal assistant like Echo or Siri, car audio system. Smart watches, email and push notifications. Internet of Things (IoT) and Bots are indeed the future of mobile apps. We have seen enough evidence of that we shall be witness to more in times to come. According to a survey by Developer Media, there has been a 24% increase in the number of app developers working on IoT apps in 2015 compared to 2014.